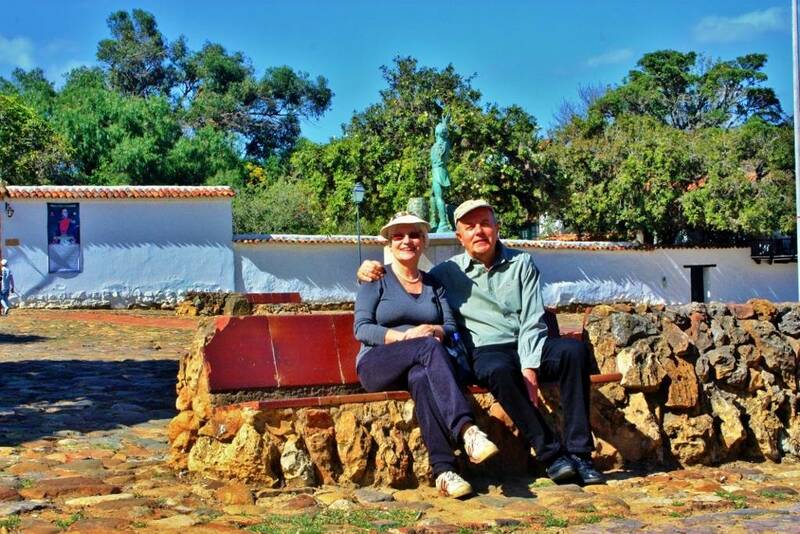 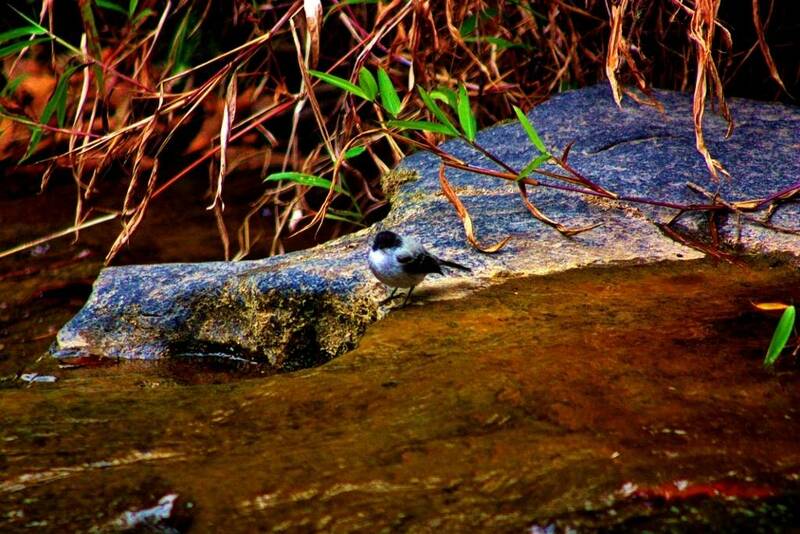 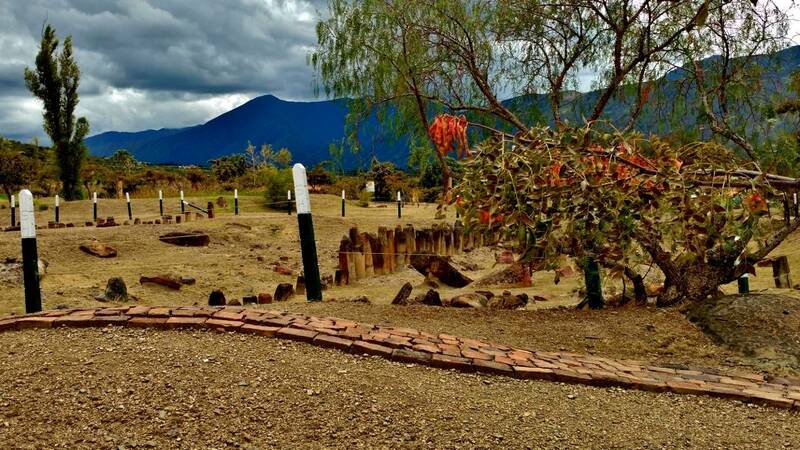 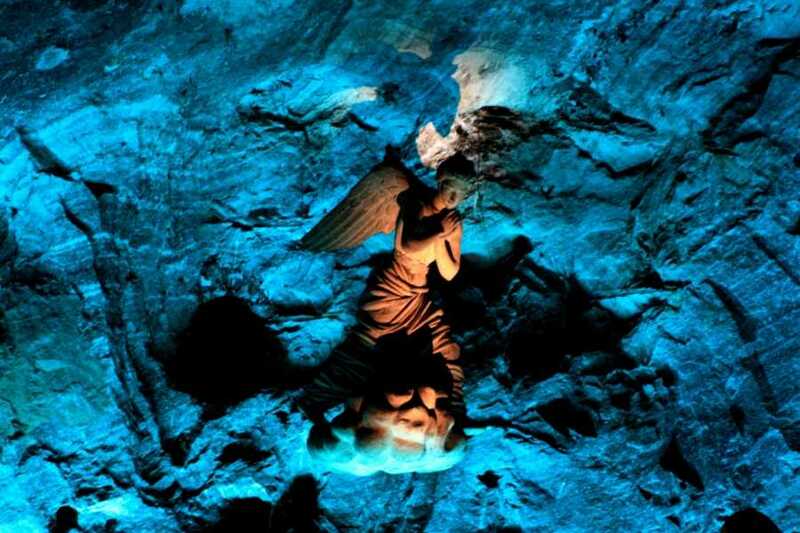 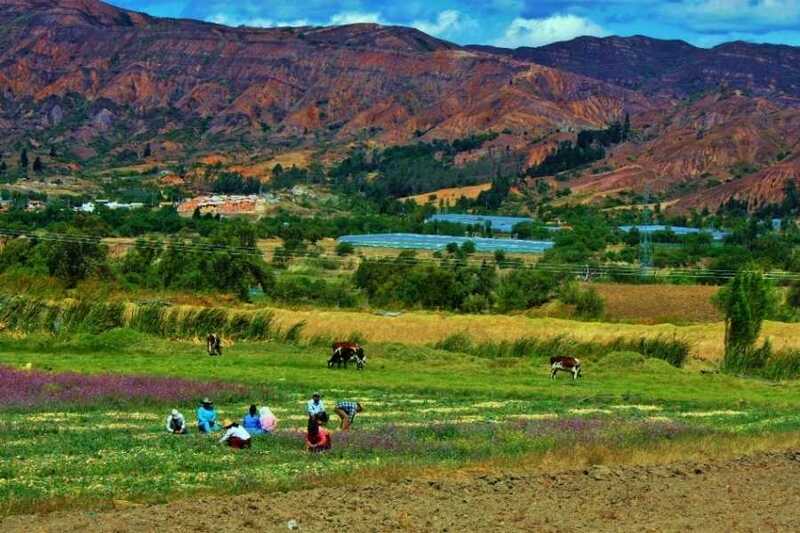 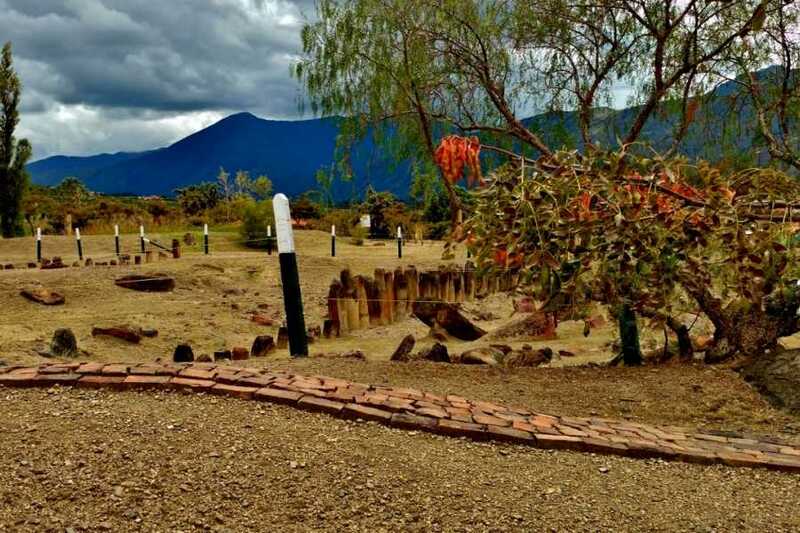 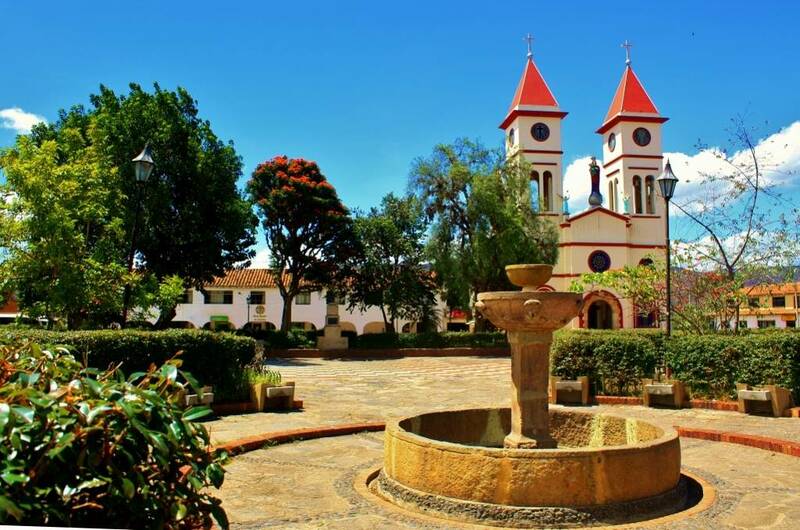 On this tour you combine two major attractions in the center of the country: The Salt Cathedral of Zipaquirá, the most visited tourist space Colombia and Villa de Leyva, world heritage by UNESCO. 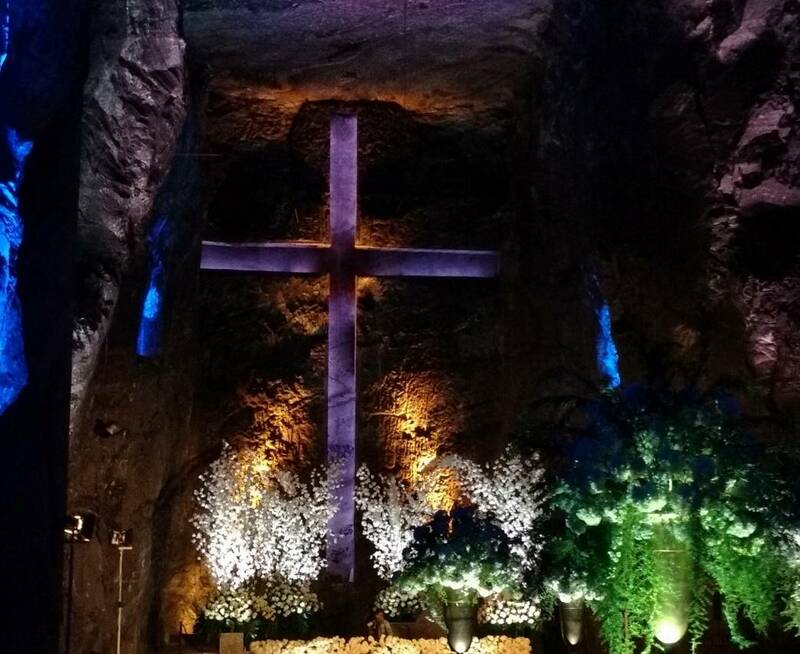 The Zipaquirá Salt Cathedral is an amazing space of tunnels dug into the bowels of the mountain of salt, in which have been built an impressive cathedral!! 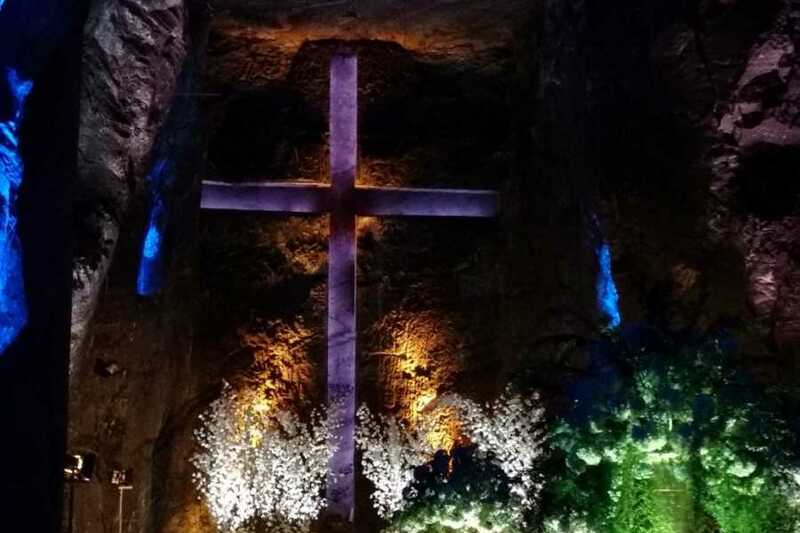 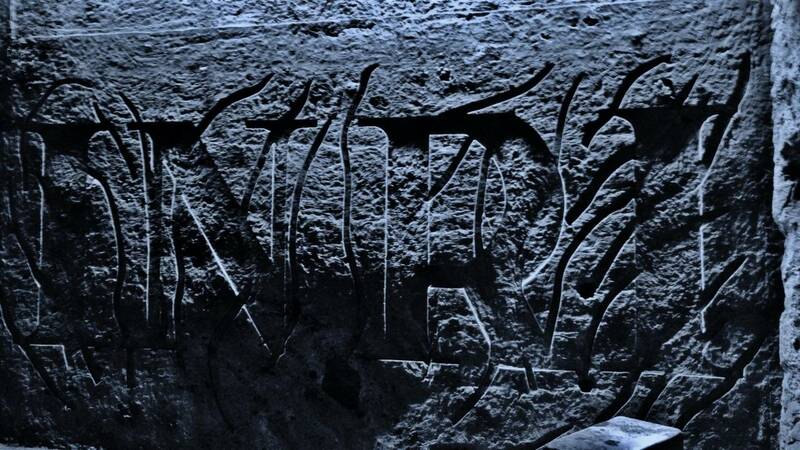 In the vast tunnels have been carved spaces of extraordinary dimensions that house the areas that make up the Cathedral: The Way of the Cross, with its 14 stations that artistically represent the steps of Jesus on his way to crucifixion. 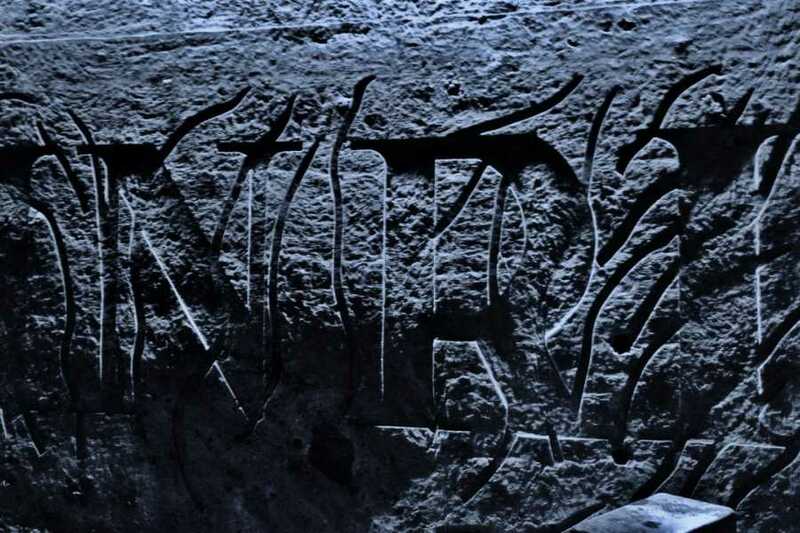 The dome, which is the connection point, with an extraordinary message. 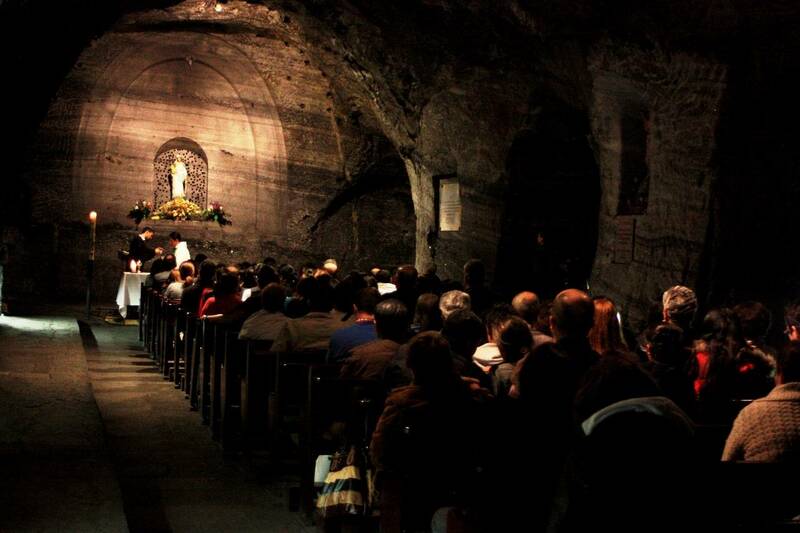 Choir, overlooking the central nave of the Cathedral, 18 meters high. 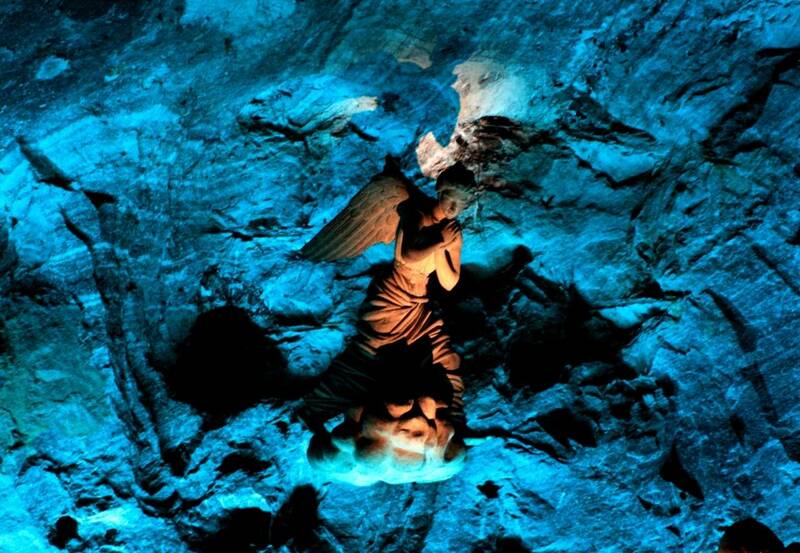 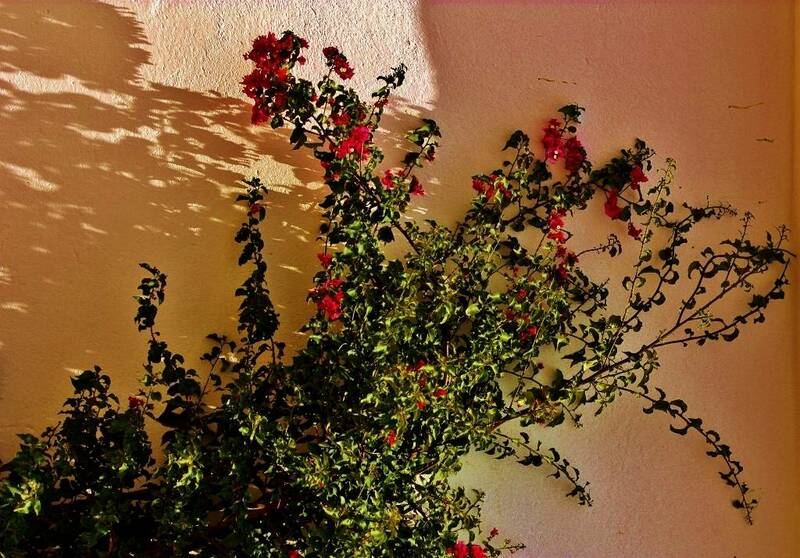 Narthex mazes, a space of purification. 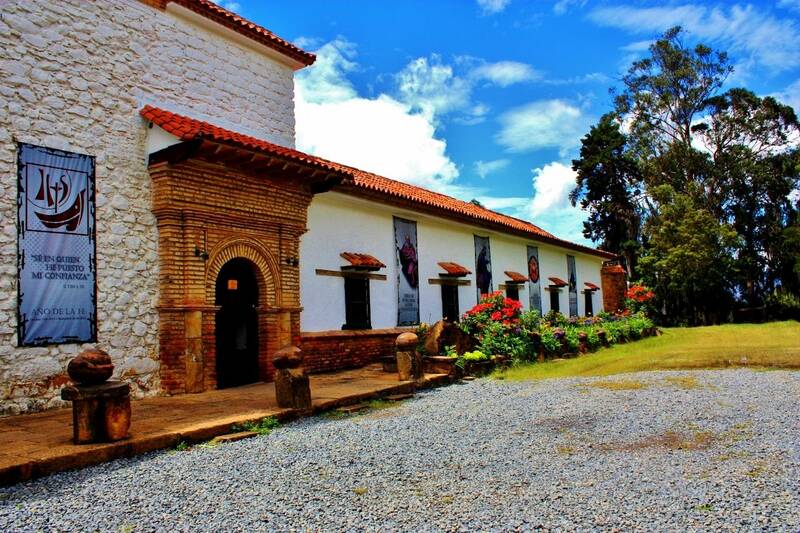 The Chapel of Our Lady of the Rosary of Guasá, the three stages of the cathedral in their inconceivable spaces and a shopping area where you can buy handicrafts and souvenirs. 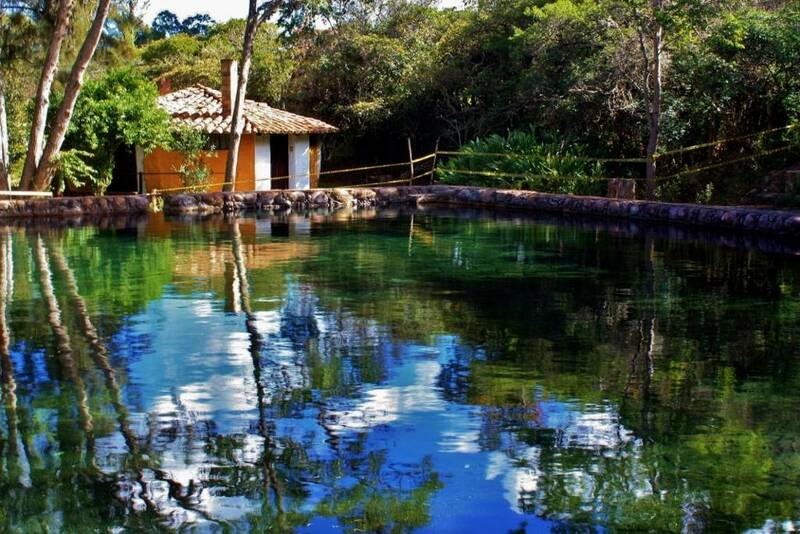 It is a visit you can not miss!! 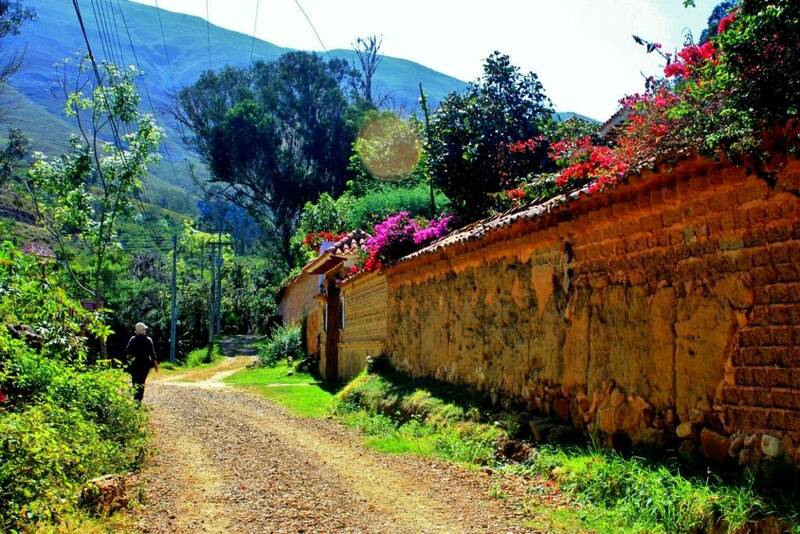 Departure to Villa de Leyva, arriving at sunset. 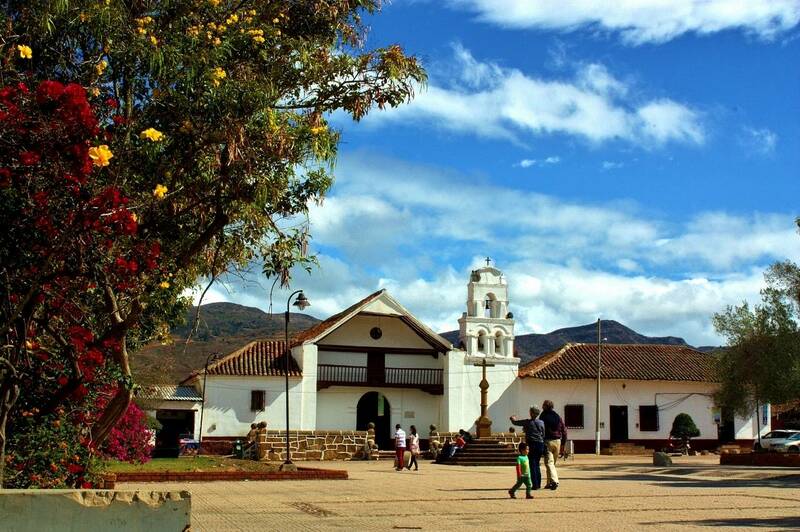 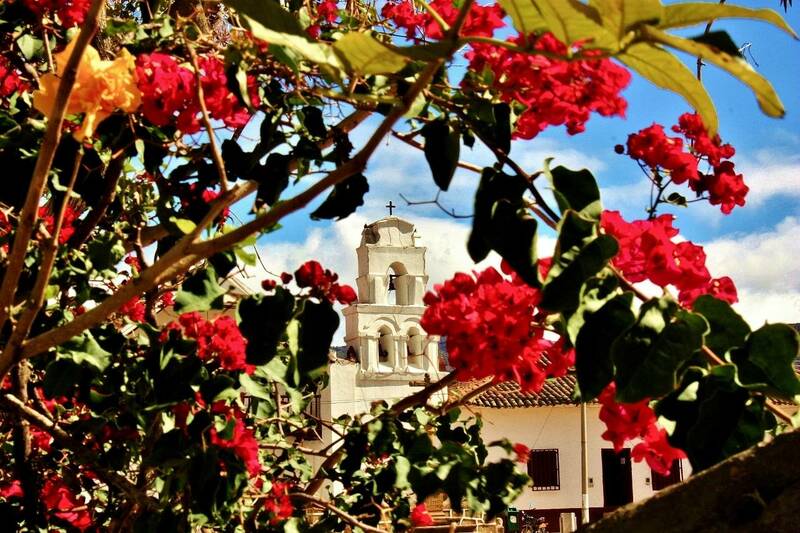 Villa de Leyva, with its colonial architecture. 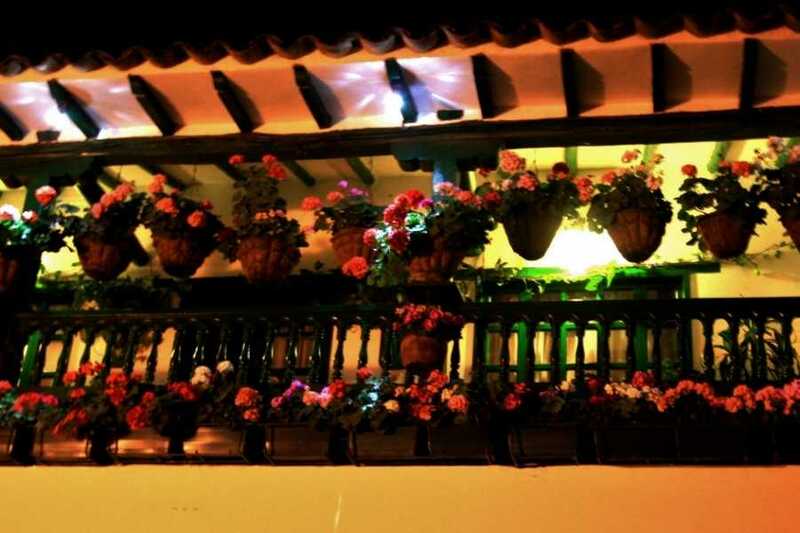 It highlights the main square, the cobbled streets and flowered balconies, with extraordinary charm. 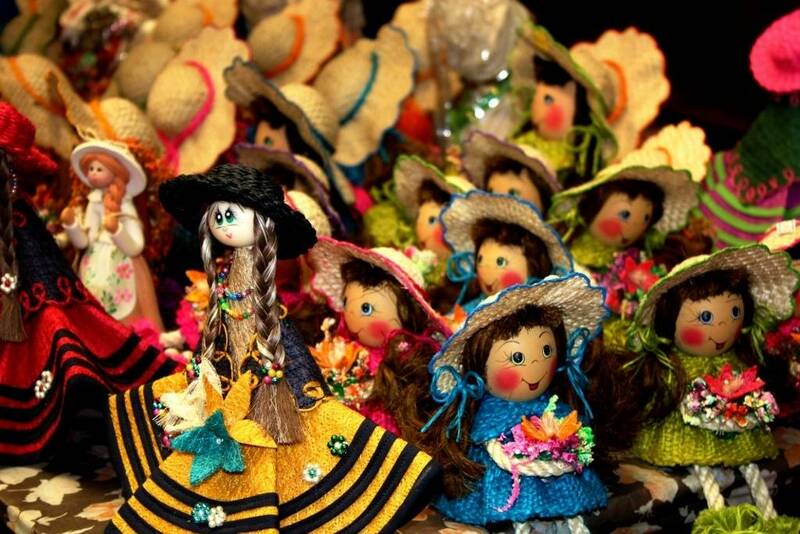 Especially recommended is to assist the traditional market, held on Saturdays. 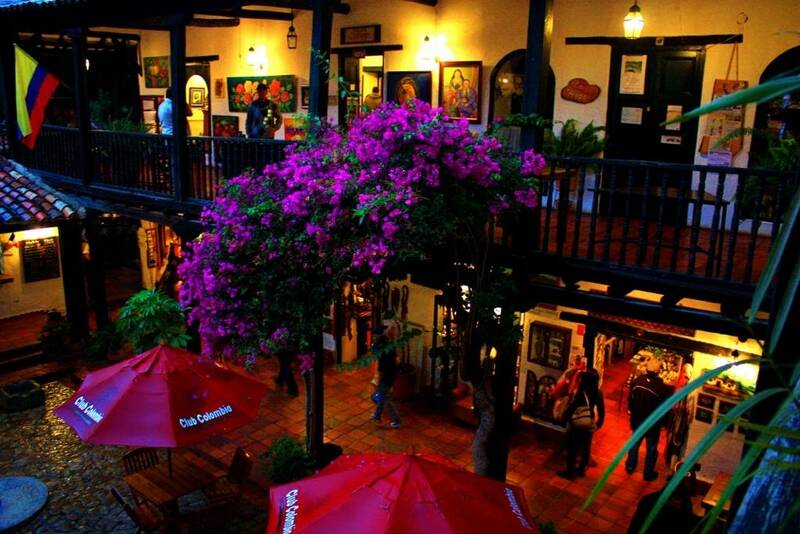 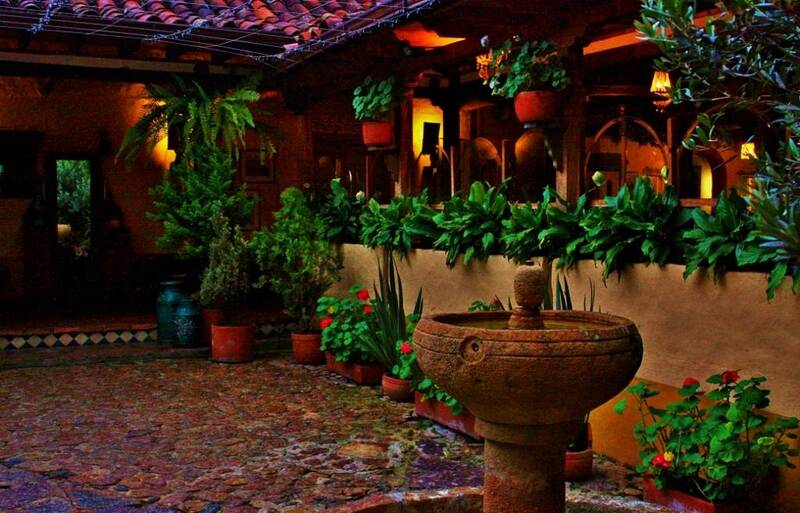 Many typical craft shops and excellent restaurants complete the picture of this fascinating corner of Colombia. 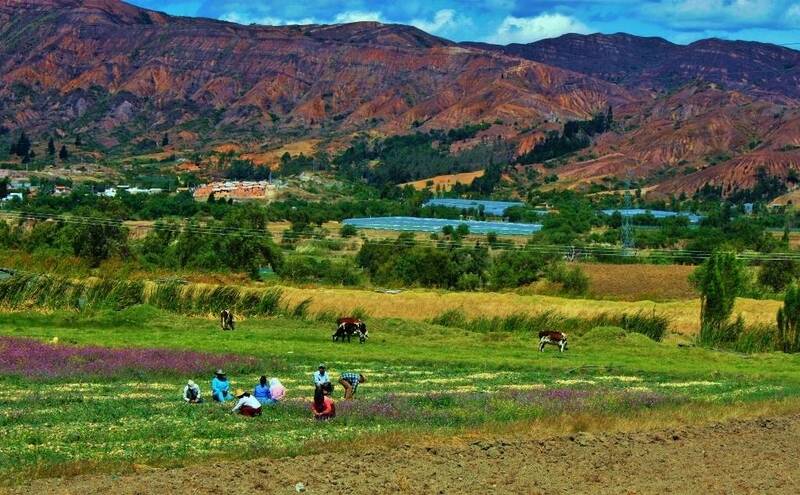 Ráquira, craft center: The road between Villa de Leyva and Ráquira is very interesting as it runs through a desert area of incomparable beauty, natural environment, which allows us to appreciate the everyday life of the peasants in their daily grazing and agriculture work in small rural communities. 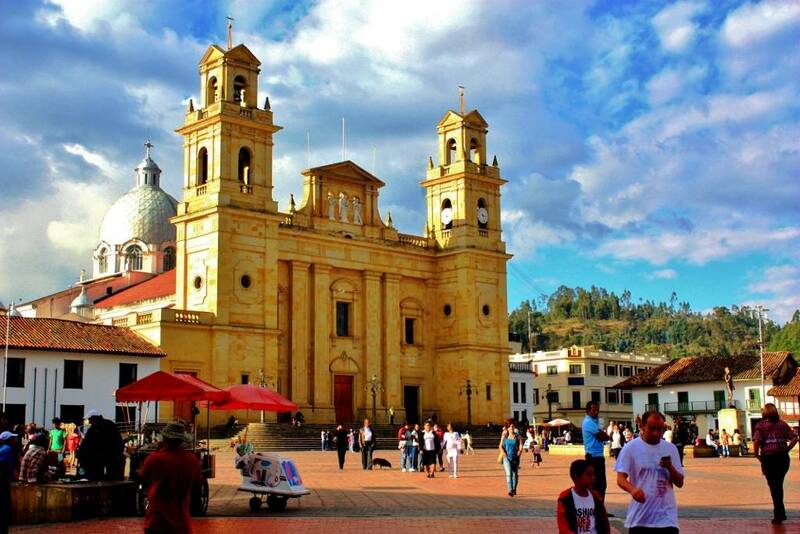 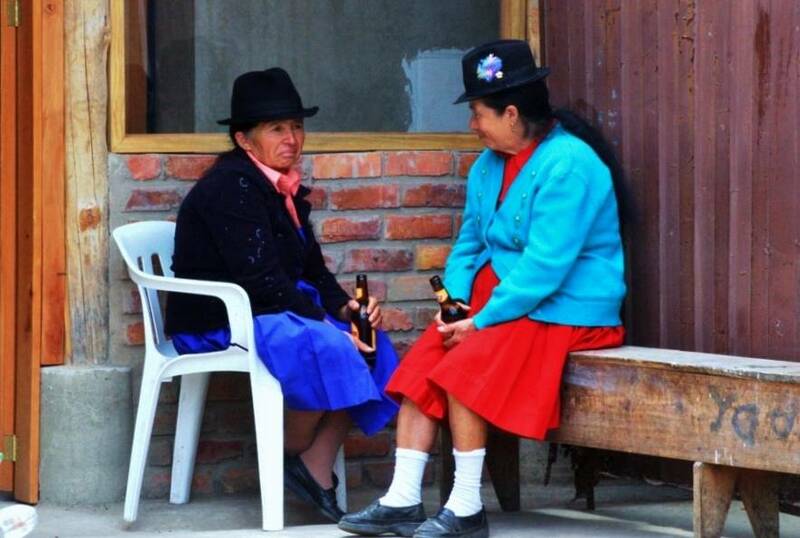 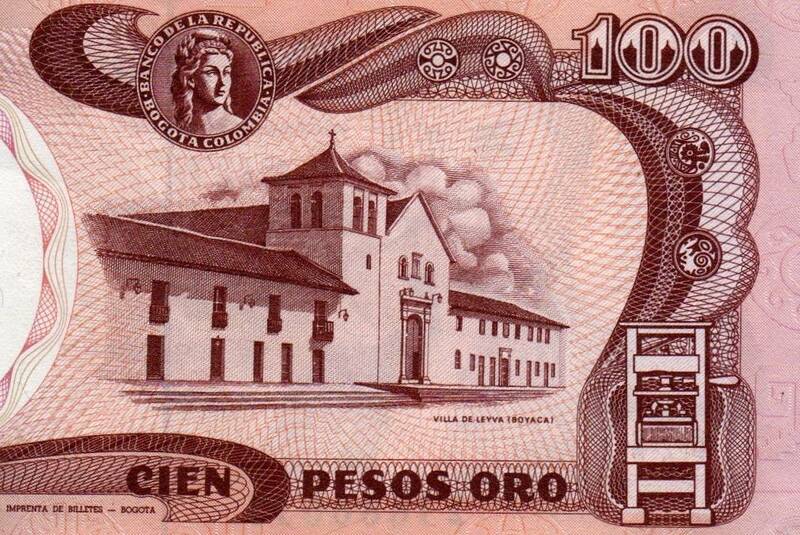 Small towns like Sáchica, Sutamarchán and Tinjacá, typical examples of Colombian Andean peoples. 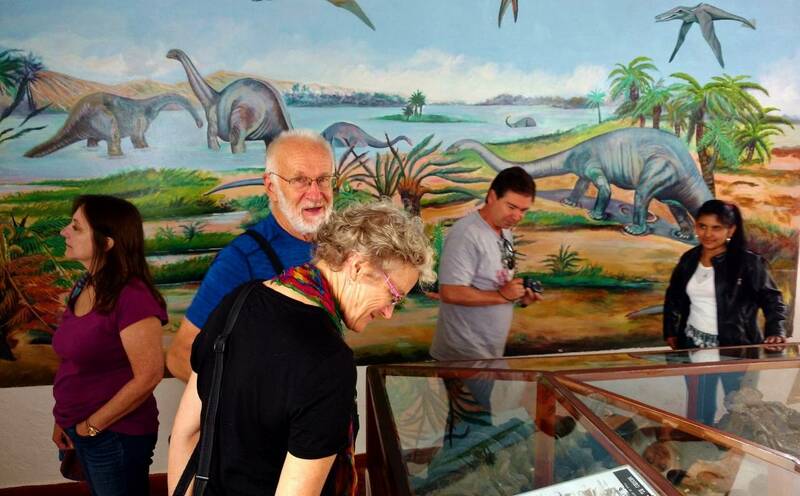 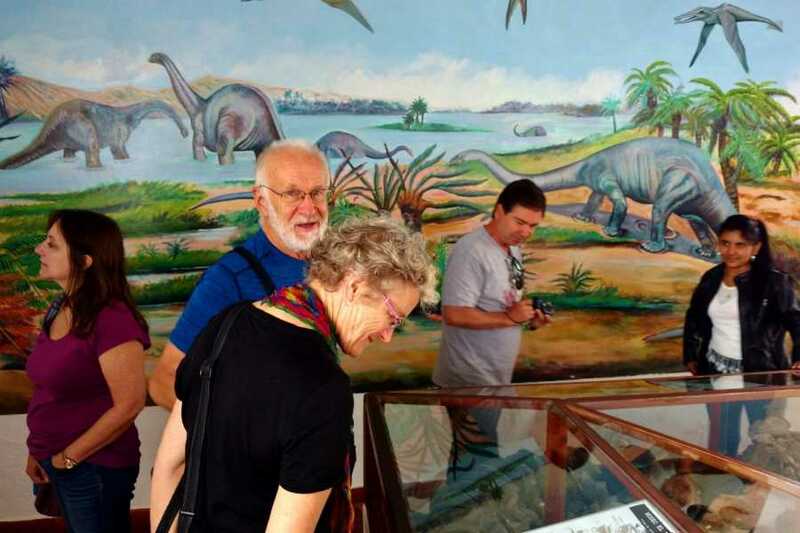 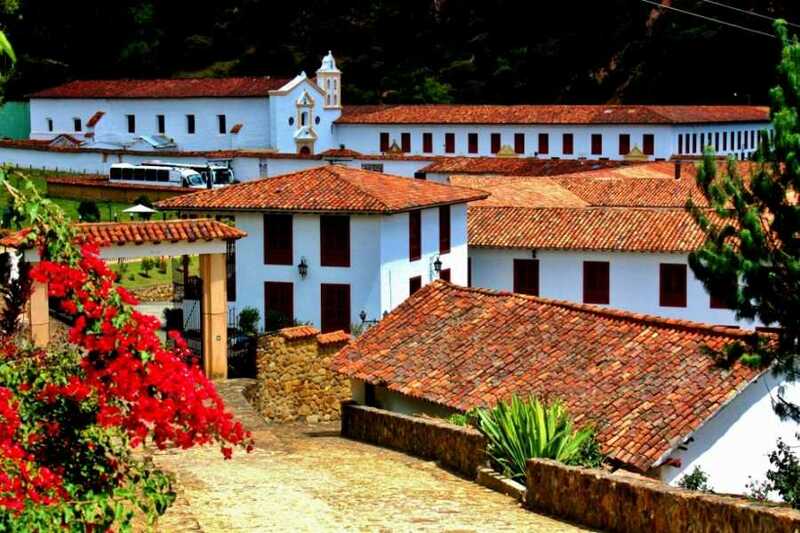 The visit to Ráquira is especially enjoyable. 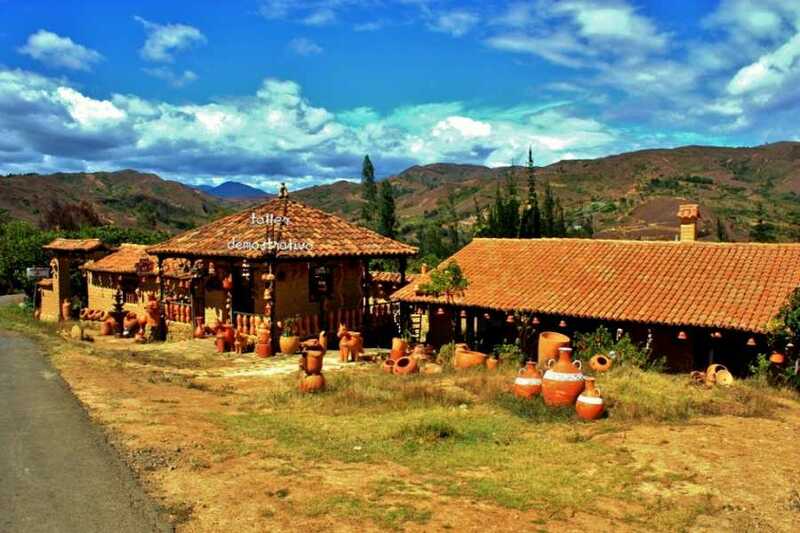 Gray town, known throughout Colombia for its handicrafts in ceramics, which retain the primitive techniques and design since pre-Columbian times. 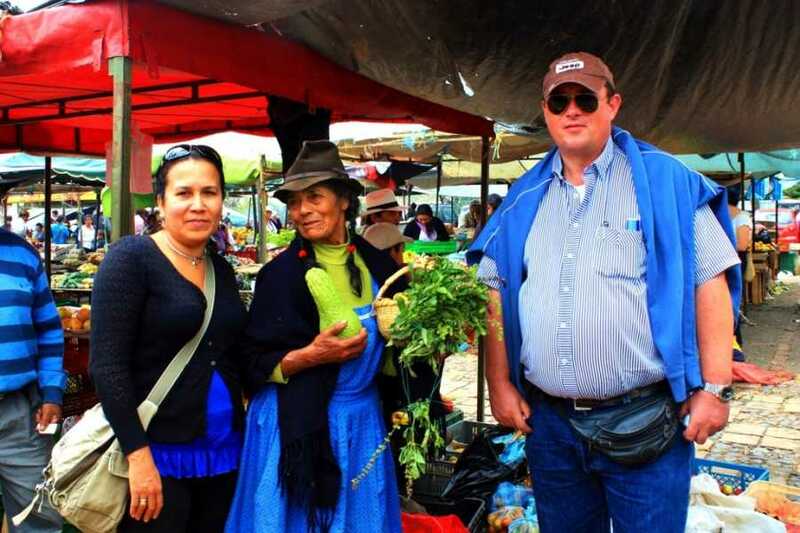 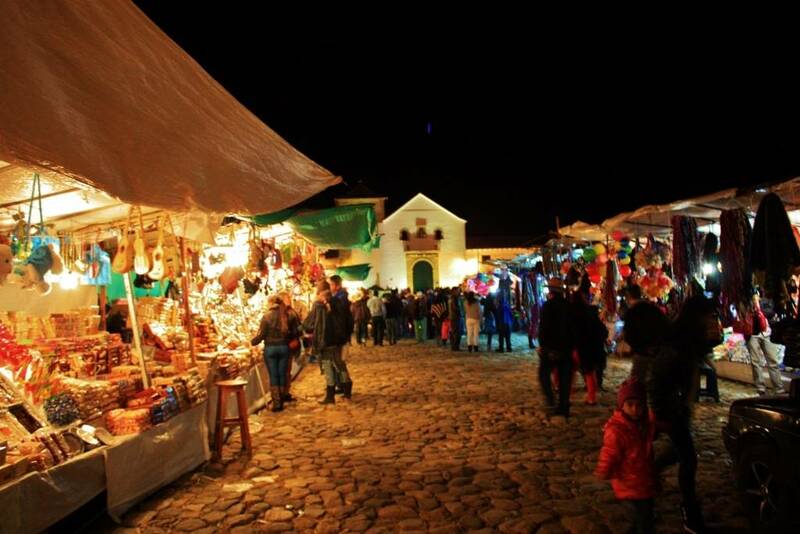 On Sunday the traditional local market, one of the most authentic events in Colombia, where you can feel the real atmosphere of the South American Andes. 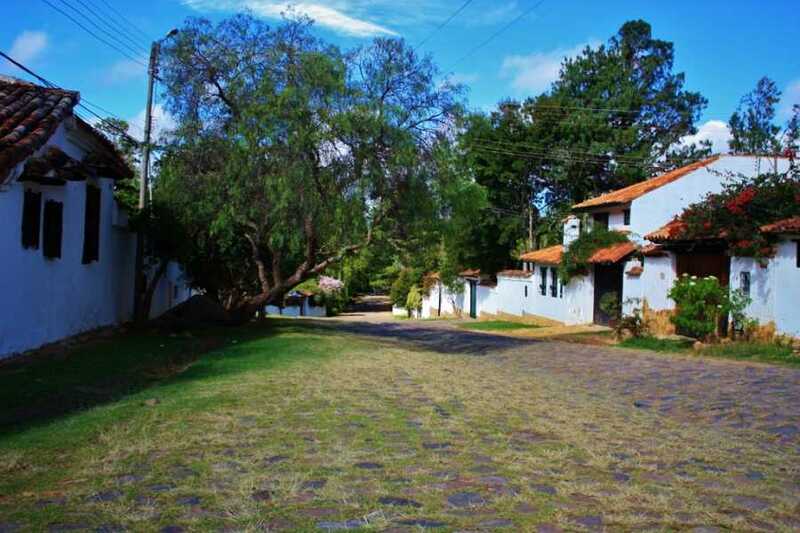 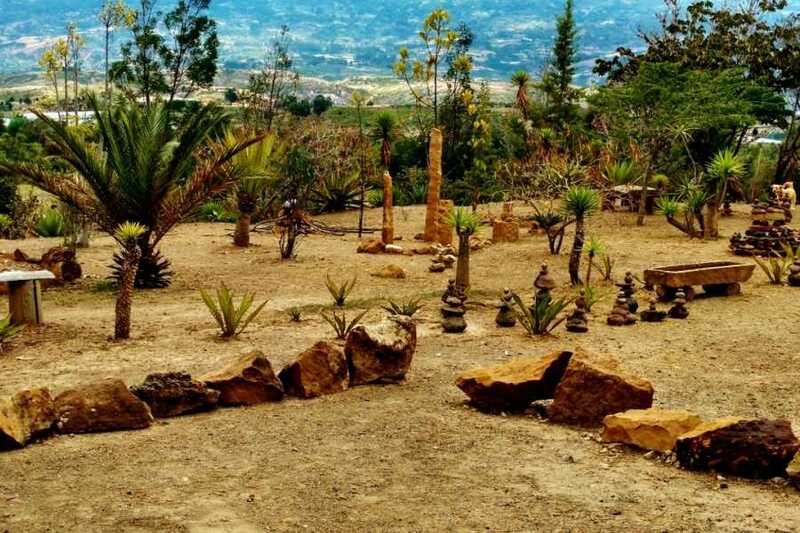 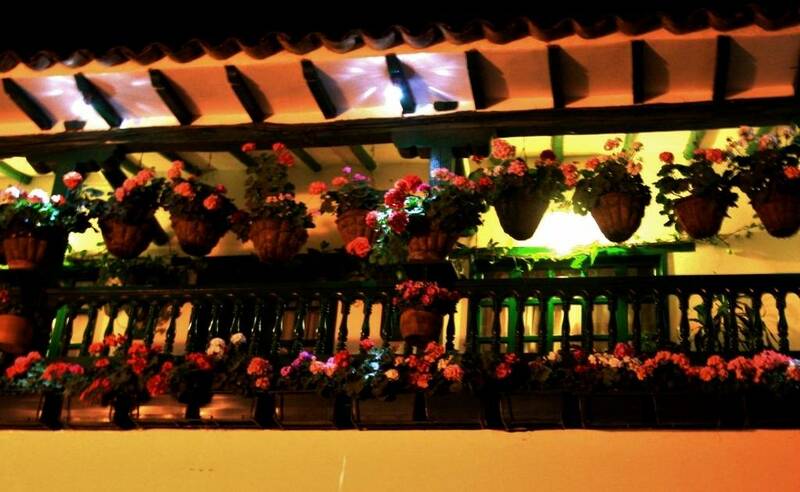 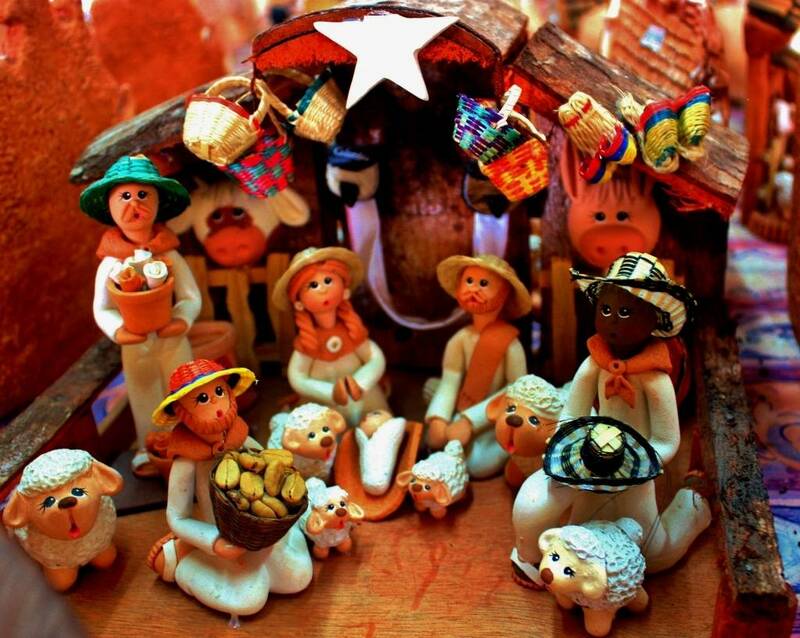 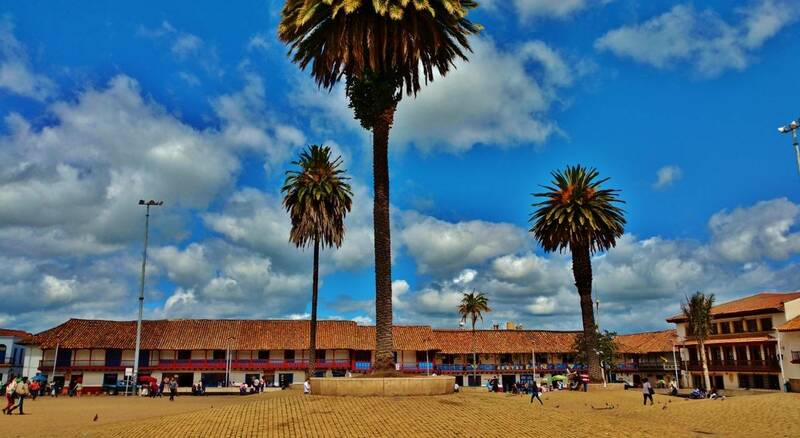 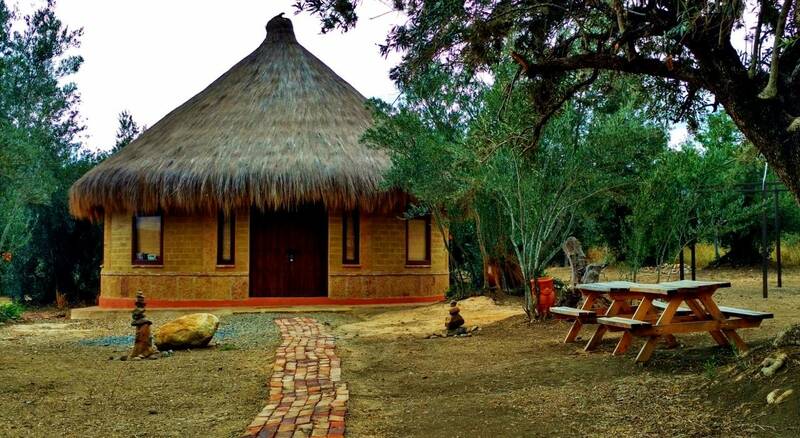 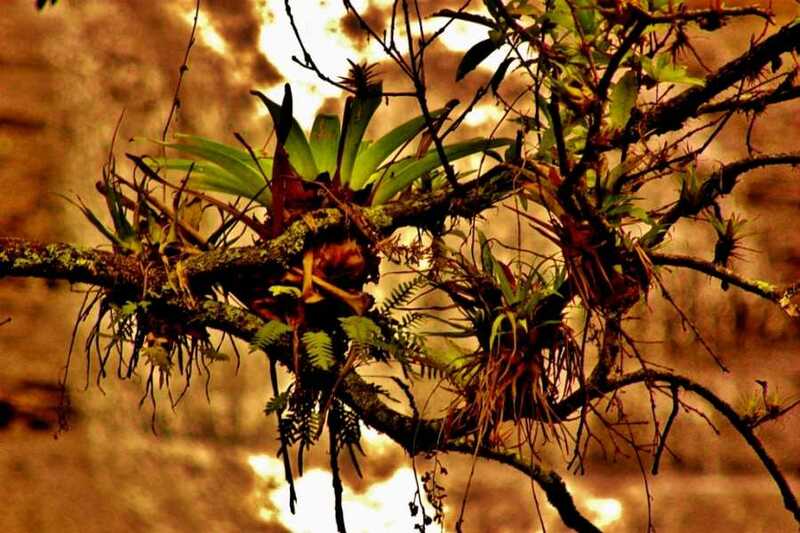 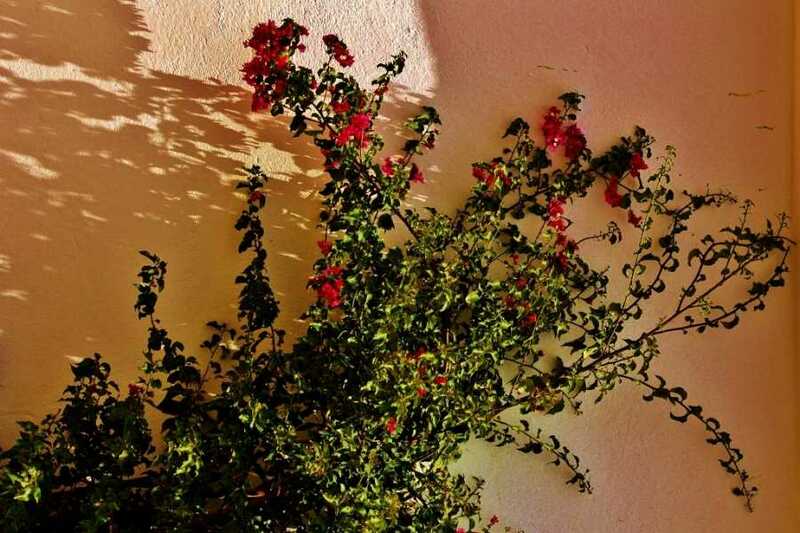 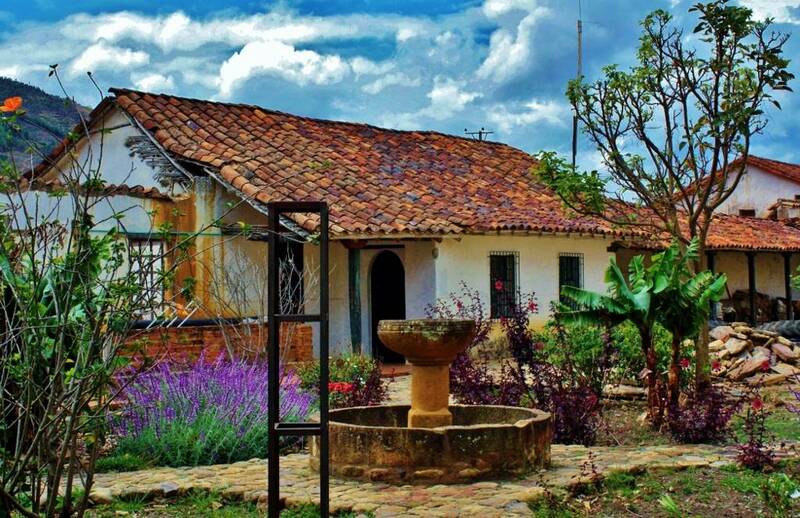 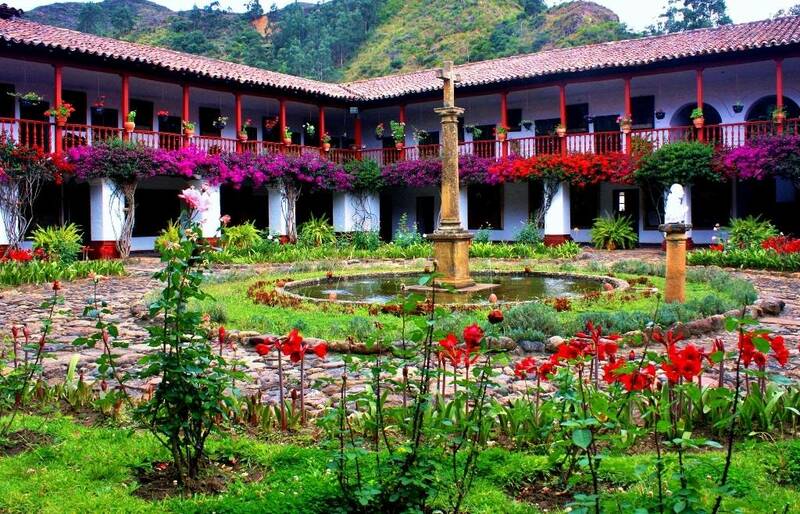 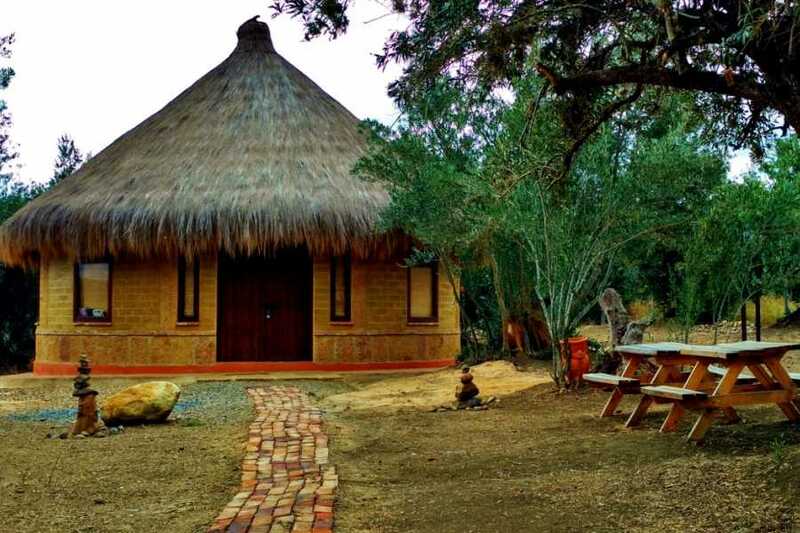 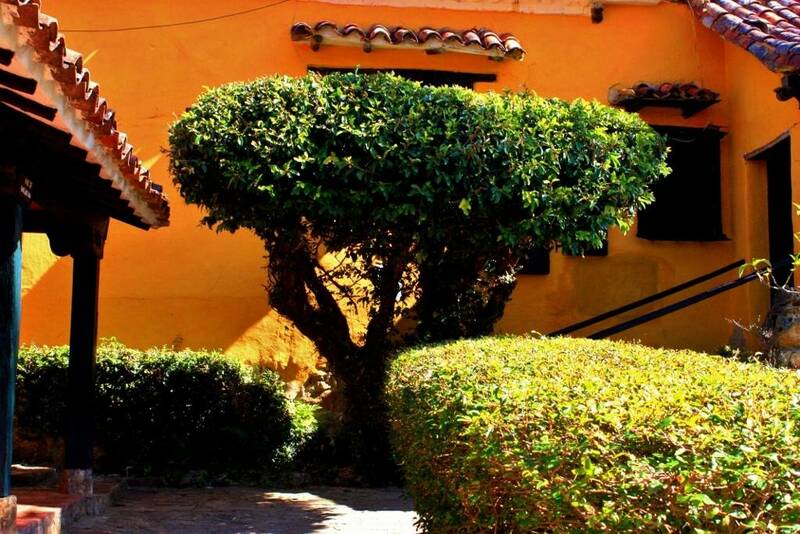 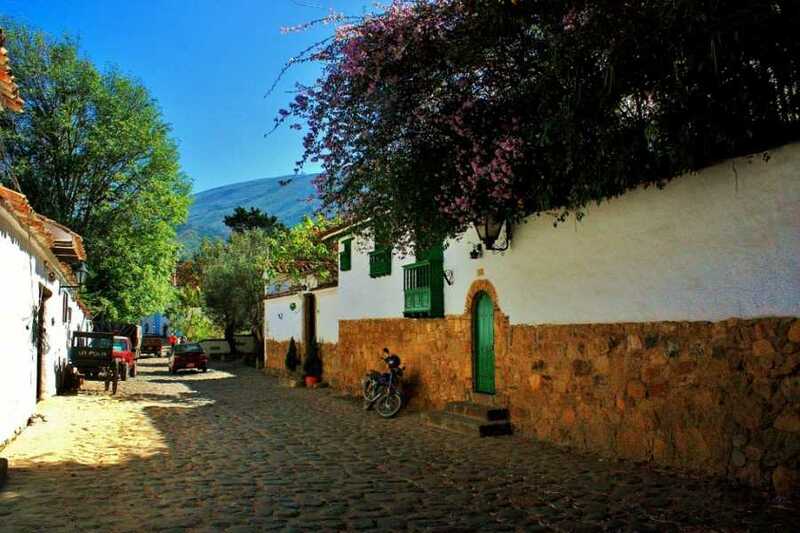 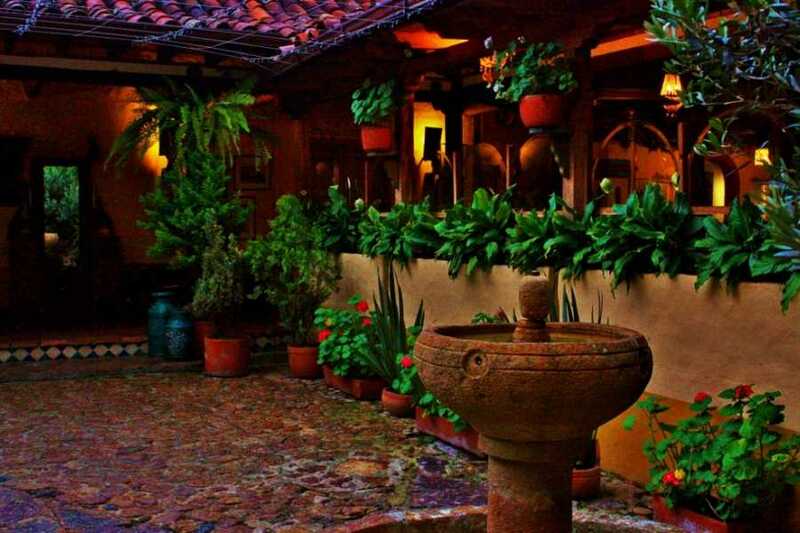 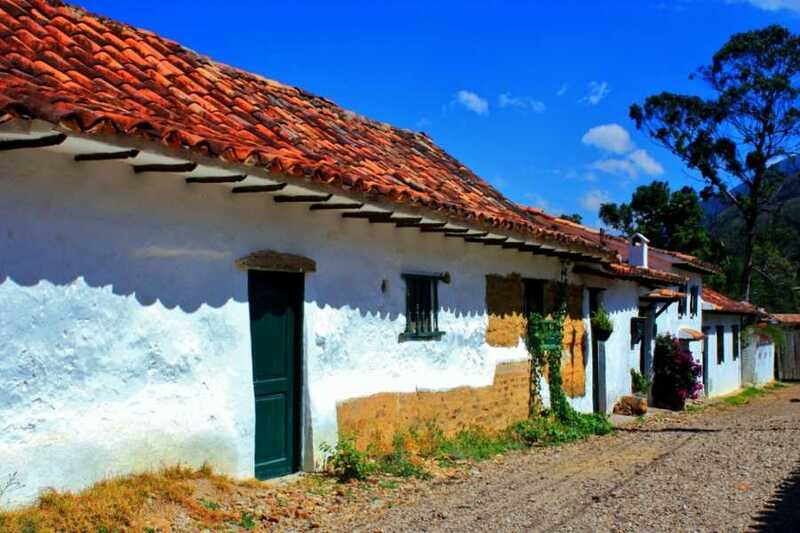 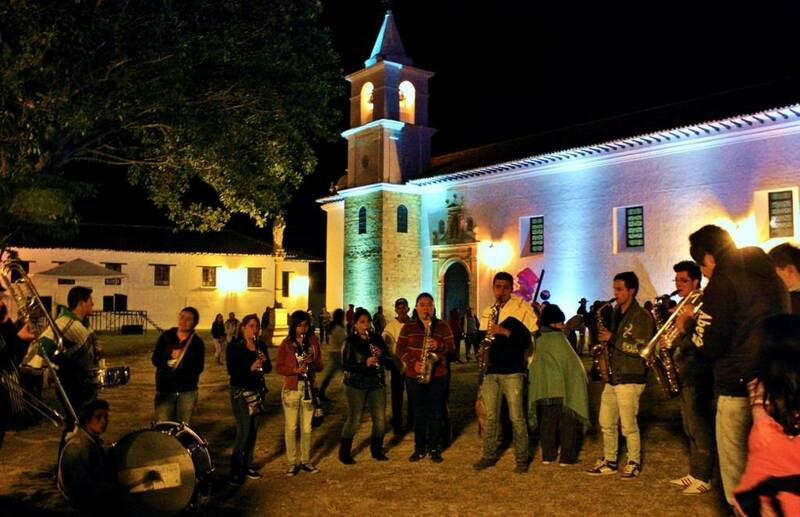 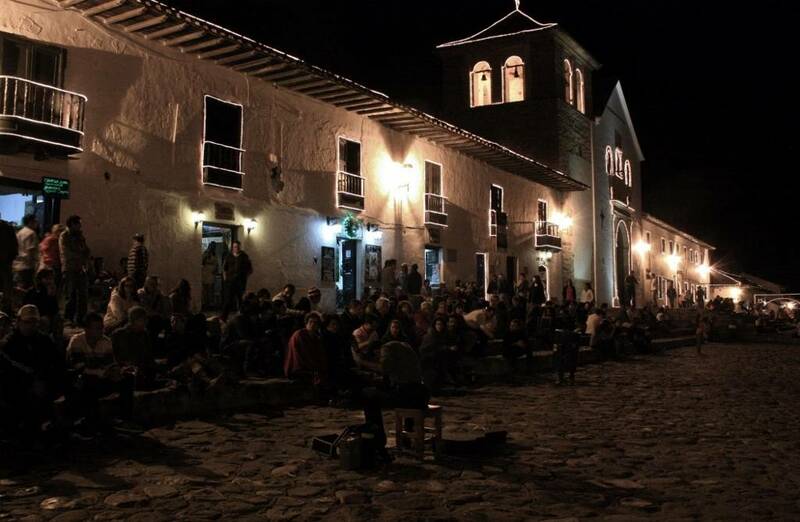 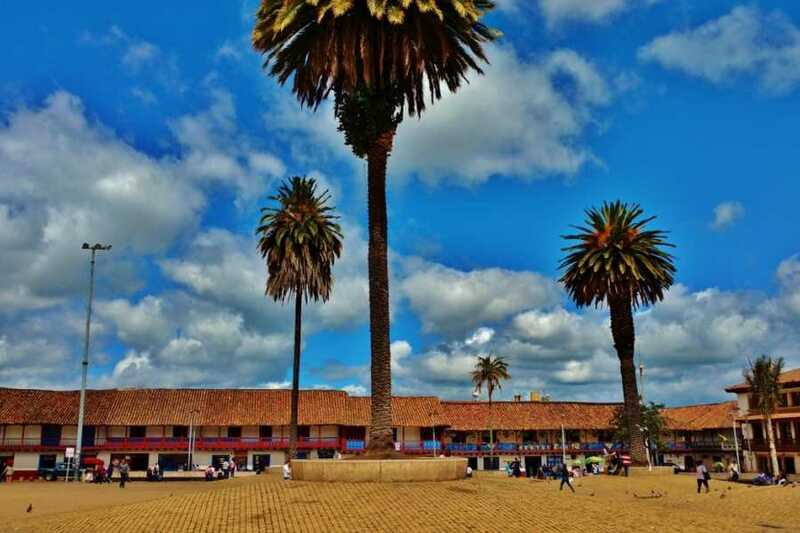 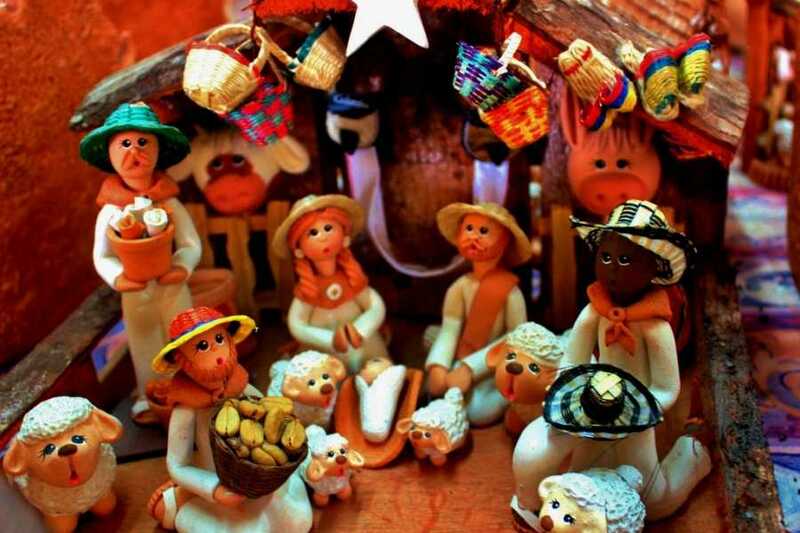 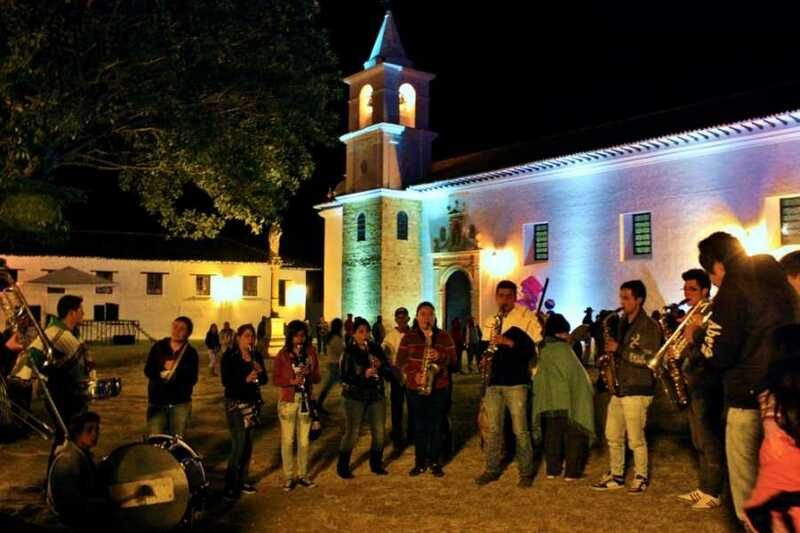 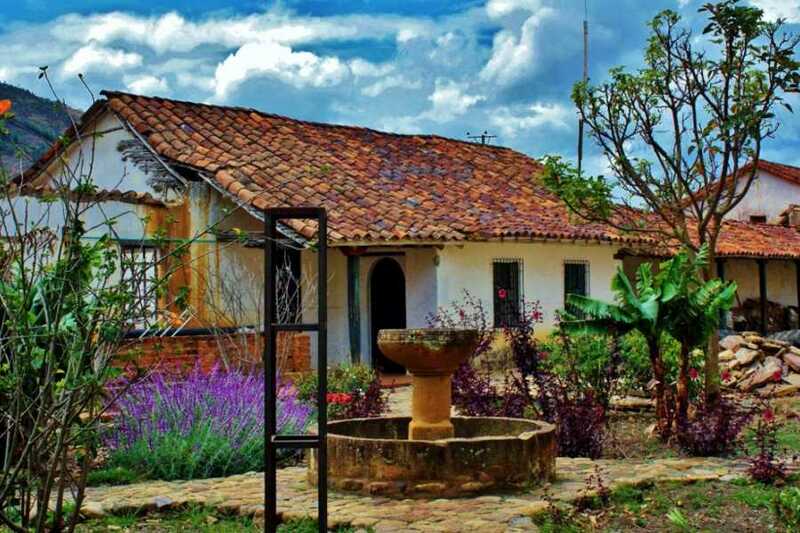 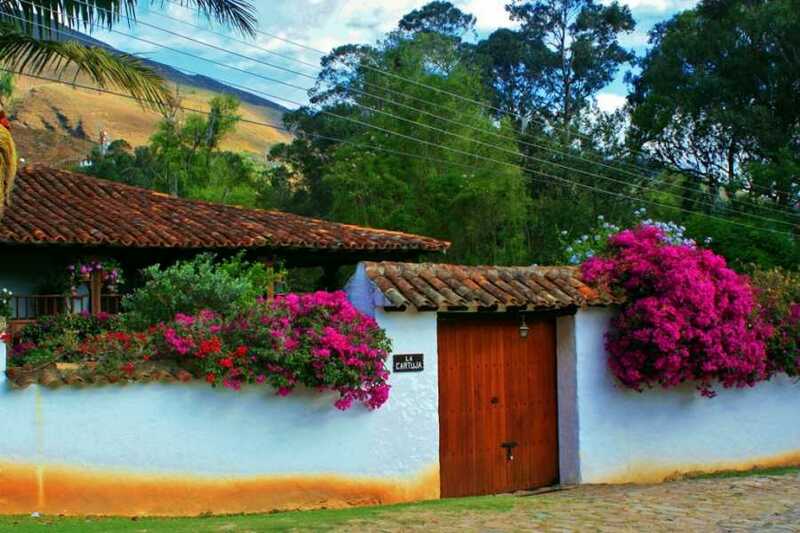 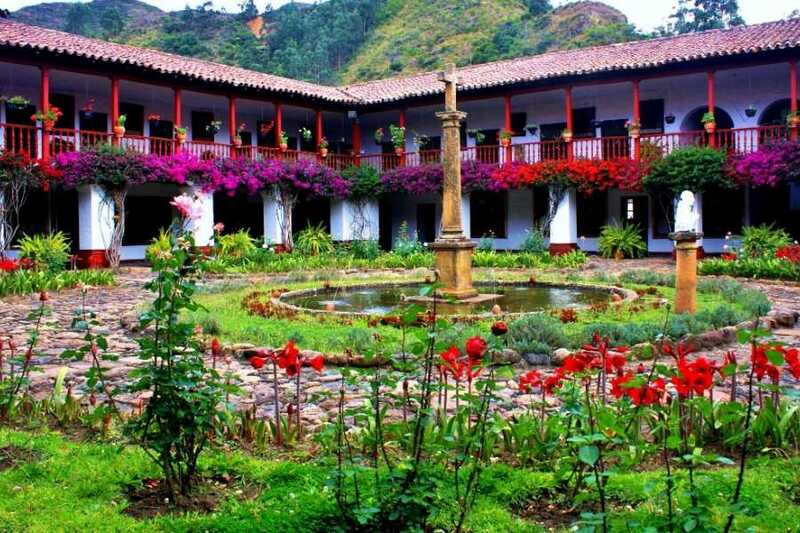 Ráquira has been awarded as "The most beautiful village in Boyacá" due to the original colorful houses and decorating their main park with handmade ceramics. 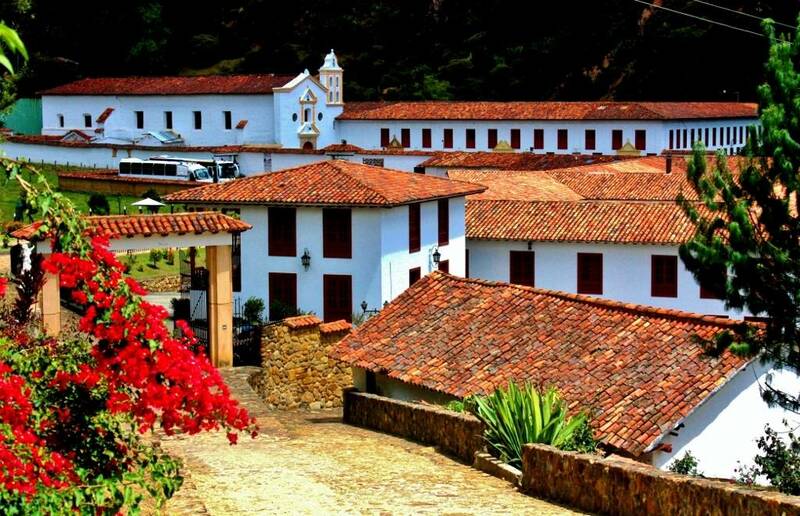 Later, we visit the Monastery of the Candelaria located 15 kilometers from Ráquira. 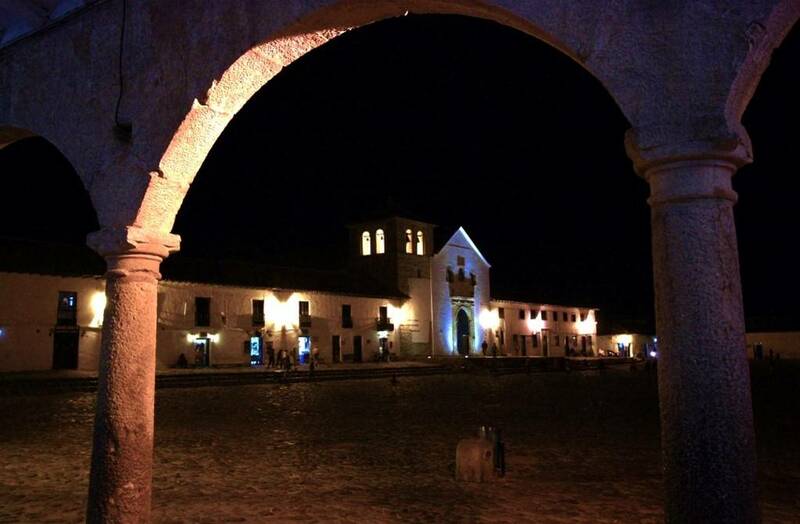 Candelaria Monastery, Built in the 16th century, 15 kilometers from Ráquira. 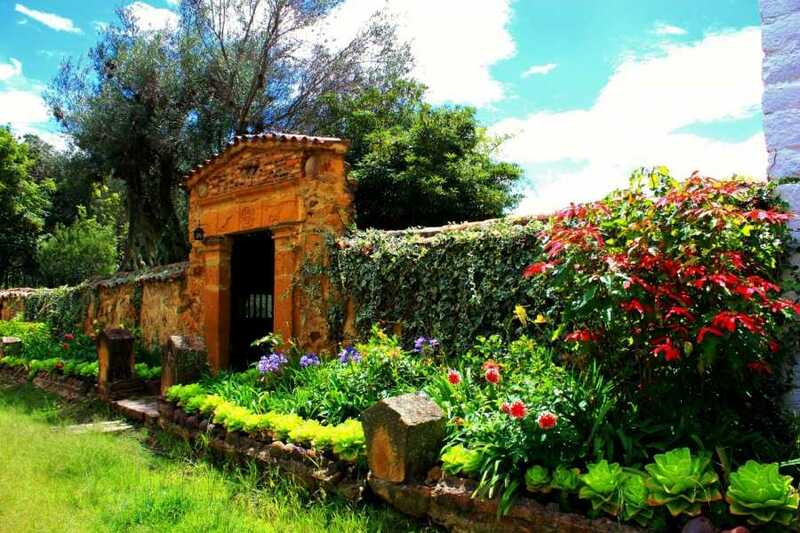 Tour of the wines, to appreciate the cultivation of the grape and the production of the local wine, which includes a tasting. 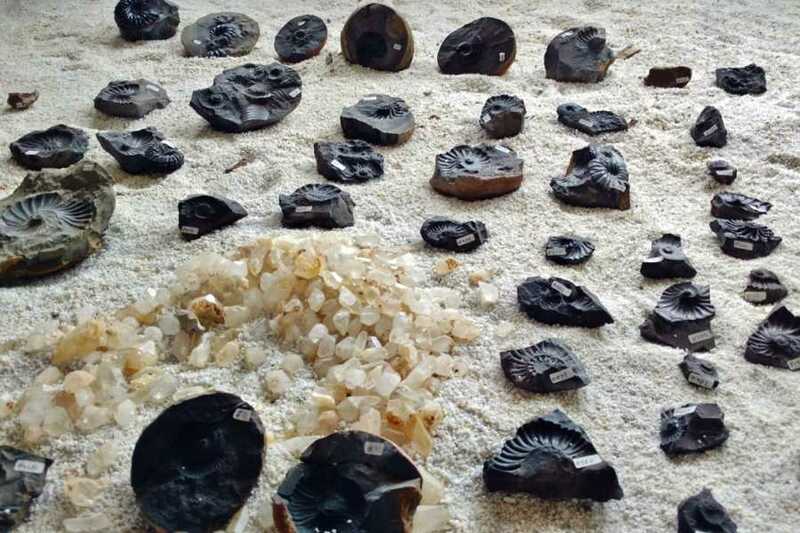 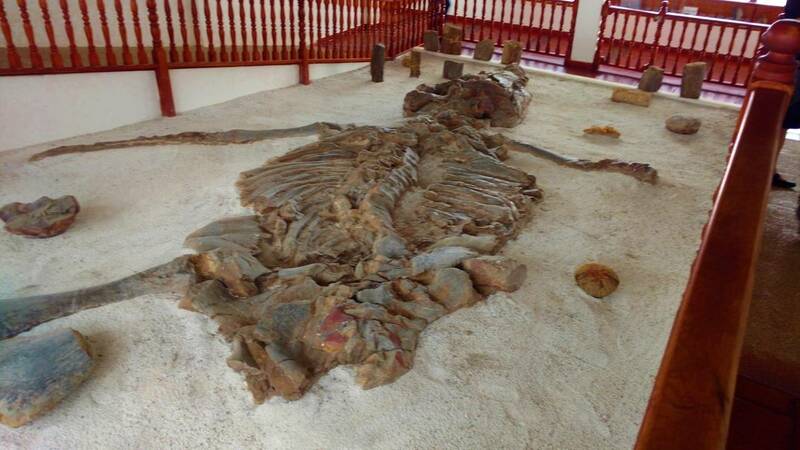 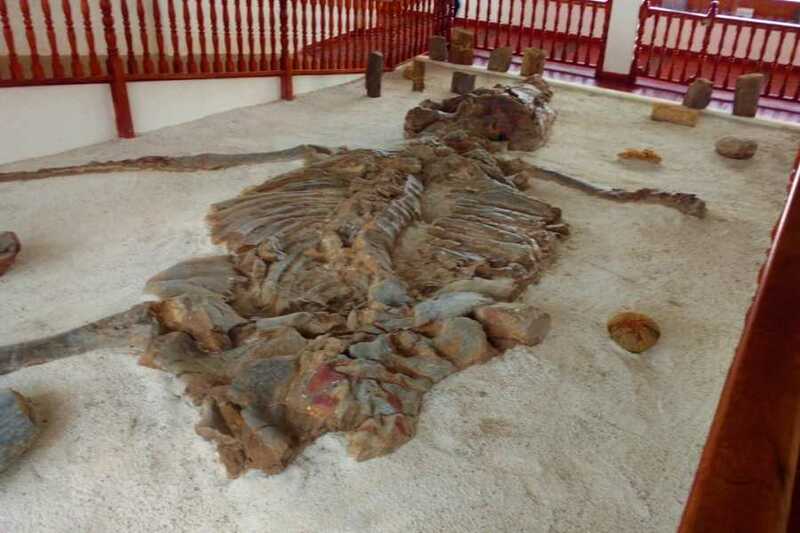 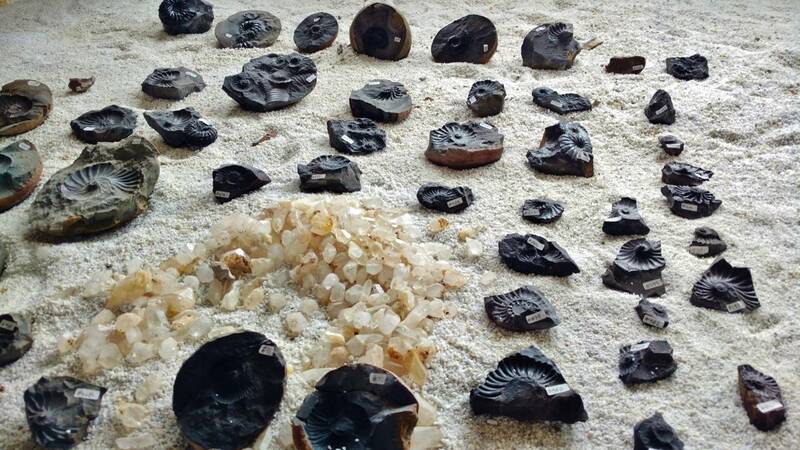 The Fossil of a chrono-saurium of 120 million years, found in the region. 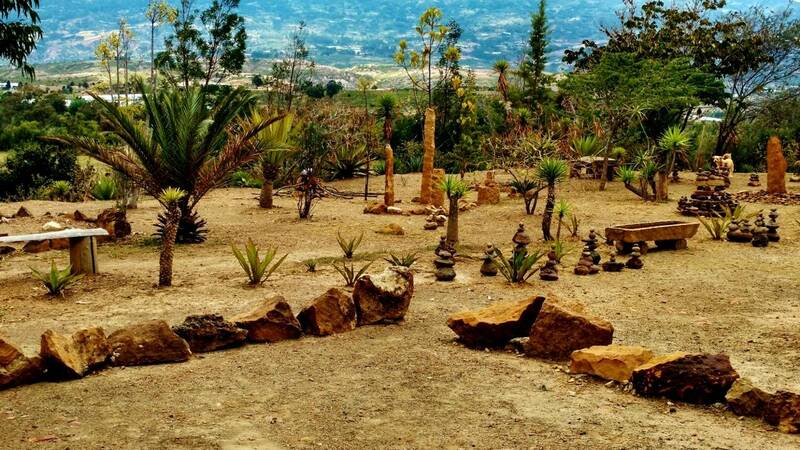 The Little Hell, a series of megaliths, columns and enigmatic structures of the pre-Columbian era. 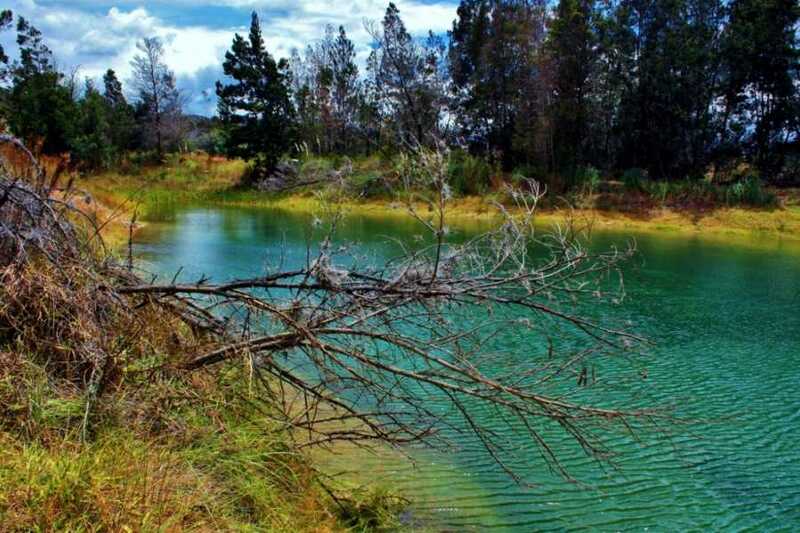 Blue Pools, a set of small lakes in the desert. 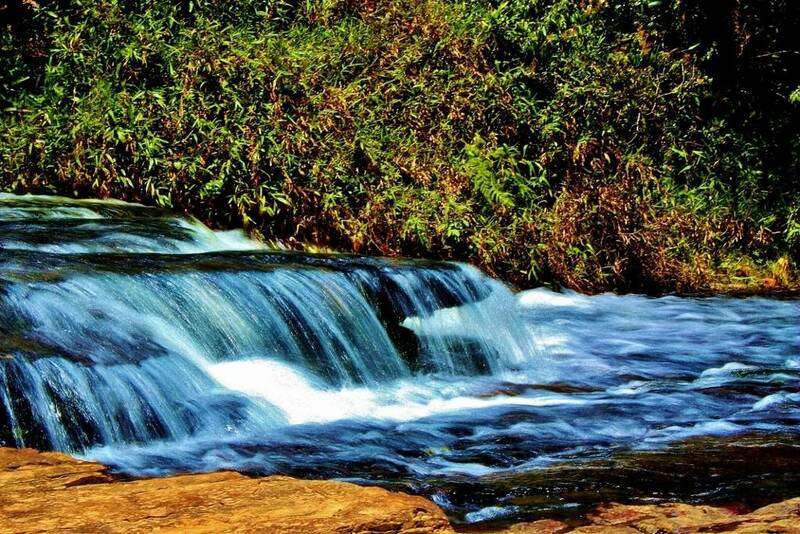 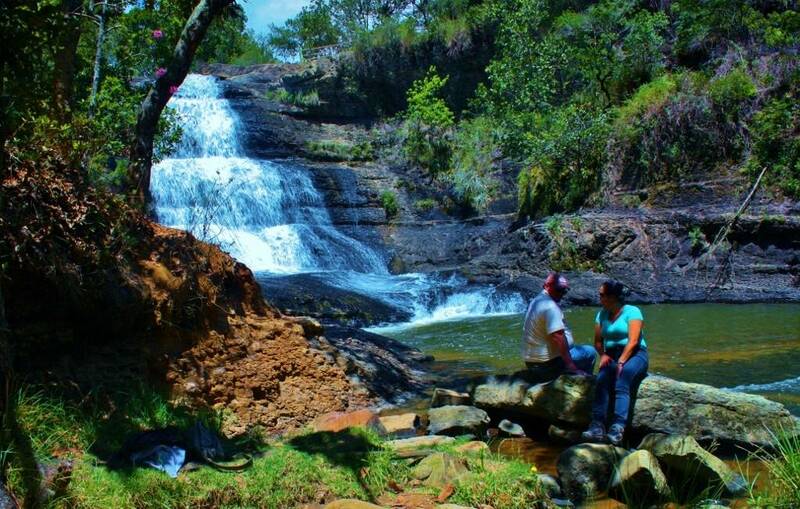 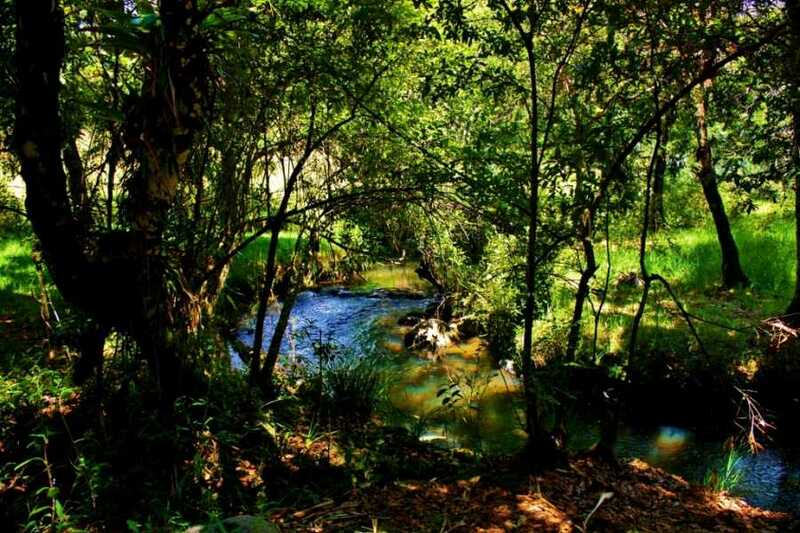 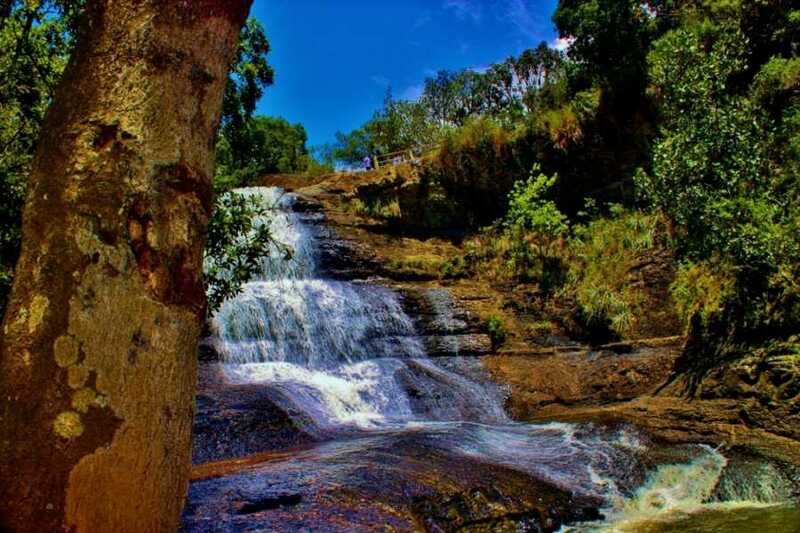 La Periquera, a set of waterfalls of great beauty.